After a stunning flip-flop by the Department of Justice right before Christmas, Internet-gaming fever has been spreading across the nation to many in positions of power in state governments. While Nevada has brazenly taken a big lead in efforts to establish the first intrastate web-gaming industry — poker-only at first in its case — other states are grappling with the idea of taking gambling to the final frontier. Sensibilities on both sides of the argument are digging in for legislative warfare, with proponents dangling carrots of tax revenue, jobs and consumer protection and opponents citing increases in crime, debt and addiction that come with gambling. In Nevada, casino interests have already won an easy fight. 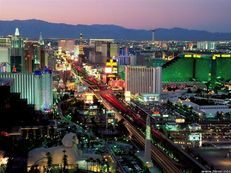 The District of Columbia beat Nevada to the punch legislatively by adding an online-gaming provision onto a budget bill in Dec. 2010, but since then has accomplished nothing toward licensing and regulating games. According to The Washington Times, controversy has surrounded a lottery contract in the omnibus bill, causing some lawmakers to regret not making Internet gaming a stand-alone measure. A hearing will be held later this month to reportedly discuss the web-gaming program and its possible repeal. D.C. Council member Michael Brown reportedly said that it “would be a tragedy” if the District of Columbia is leapfrogged to the marketplace. In Iowa, a state with a scant potential player pool, gaming regulators recently released a study on Internet poker that concluded a 22-percent tax could yield as little as $3 million for the state. Consequently, a lawmaker there with a bill in the works wants Iowa to join forces with other jurisdictions, according to the Des Moines Register. With a brutalized local casino industry, New Jersey Gov. Chris Christie supports broad online gaming — as long as it’s headquartered in Atlantic City. He vetoed a bill last year, but with the DOJ ruling and some tweaks to the proposal, he now has given the persistent Sen. Raymond Lesniak some political affection. Lawmakers in the Garden State are also still trying to figure out if web gaming should go to a referendum. In Ohio, The News Record reported that the state lottery is contemplating a venture into online casino games. The DOJ’s broad clarification on the Wire Act was in response to New York and Illinois seeking to use the Internet for lottery sales. 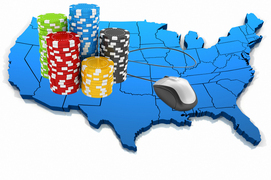 Neither of those states has splashed around with the idea of casino games for the web. Besides a federal bill, California, with its nearly 37 million people, represents the coup de grâce for anti-Internet gaming sentiment in the U.S. 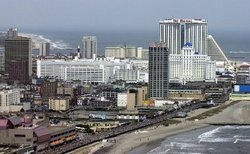 The state will revive consideration for Internet gaming in 2012, but Gov. Jerry Brown remains skeptical on the issue and its potential help to the budget deficit, according to the L.A. Times. The tribal casino industry in the Golden State, which forks over hundreds of millions per year for gaming compacts, is fiercely divided on the issue. Robert Smith, Chairman of the California Tribal Business Alliance, said last year that many “stakeholders” would be “irreparably harmed” if a bill was rushed. Despite its close proximity to the gambling capital of the country, Utah has legislation in the works that would preemptively ban online gaming — just in case a federal bill ever gains traction. Other states like Hawaii, North Dakota and Florida have considered Internet poker, but efforts didn’t survive in their respective legislatures and at the moment don’t appear to have second lives. Florida has been busy lately with an uphill battle to authorize a multibillion-dollar casino in Miami. While numerous states struggle to find entry into an intrastate online-gaming industry, Nevada has already started to review some of the paperwork for potential web-poker licensees. Regulators are also adding more substance to the industry’s rules, but the core framework is in place. No one has publicly stated when the first potential licensee will be brought to the Nevada Gaming Commission for approval, but some companies are looking to get approved as soon as possible. If and when a handful of states offer Internet poker, the potential is there under the law for an inter-play between player pools, according to leading gaming attorneys — making the business more lucrative. David Schwartz, Director of the Center for Gaming Research at the University of Nevada Las Vegas, said casinos want to have everything in place by the time the market goes interstate. “It’s not that this is going to be a gold mine for revenue, but it will say ‘Hey look, here’s a concept. We can do it, and it’s working,’” he said. Groupe Benard Tappe has aquired Full Tilt. They will pay European and other players while us in the USA have to get our money from the DOJ. They are responsible for paying U.S players under the tearms of the purchase agreement.